to see how crowded Disneyland will be! Pick the best parks with our recommendations. +Disney World $13.95 - 13% off! $15.95 $24.90 - 22% off! $26.90 - 16% off! $36.85 - 23% off! $38.85 - 19% off! +Universal Orlando $7.95 $7.95 $14.90 - 6% off! $14.90 - 6% off! $21.85 - 8% off! $21.85 - 8% off! 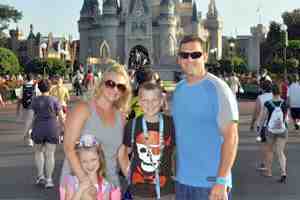 Heading to Disney World in Florida or Universal Orlando in Florida? Check out our Disney World Crowd Calendar and Universal Orlando Crowd Calendar. to get the Crowd Levels!